We investigated the value of CT texture analysis (CTTA) in predicting prognosis of unresectable pancreatic cancer. Sixty patients with unresectable pancreatic cancers at presentation were enrolled for post-processing with CTTA using commercially available software (TexRAD Ltd, Cambridge, UK). The largest cross-section of the tumour on axial CT was chosen to draw a region-of-interest. CTTA parameters (mean value of positive pixels (MPP), kurtosis, entropy, skewness), arterial and venous invasion, metastatic disease and tumour size were correlated with overall and progression-free survivals. The median overall and progression-free survivals of cohort were 13.3 and 7.8 months, respectively. On multivariate Cox proportional hazard regression analysis, presence of metastatic disease at presentation had the highest association with overall survival (p = 0.003–0.05) and progression-free survival (p < 0.001 to p = 0.004). MPP at medium spatial filter was significantly associated with poor overall survival (p = 0.04). On Kaplan–Meier survival analysis of CTTA parameters at medium spatial filter, MPP of more than 31.625 and kurtosis of more than 0.565 had significantly worse overall survival (p = 0.036 and 0.028, respectively). CTTA features were significantly associated with overall survival in pancreas cancer, particularly in patients with non-metastatic, locally advanced disease. 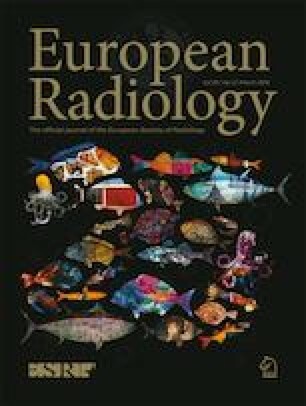 • CT texture analysis is easy to perform on contrast-enhanced CT.
• CT texture analysis can determine prognosis in patients with unresectable pancreas cancer. • The best predictors of poor prognosis were high kurtosis and MPP. The scientific guarantor of this publication is Kumaresan Sandrasegaran, M.D. A professor of Biostatistics (Dr Yan Tong, PhD) was consulted for specialist advice.